The farewell ceremony for Raj Kumar and Indu Didi at the office. This month we said goodbye to 4 staff members who are moving on and passing the torch. 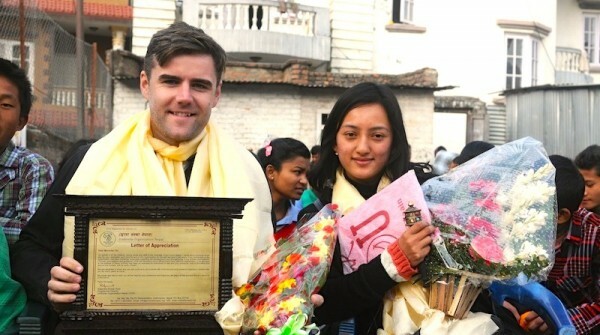 Our infinite thanks and best wishes go to Macartan Gaughan, our excellent Country Director, for his enthusiasm in strengthening Umbrella as an organisation and tireless dedication to the care of the children and youth. 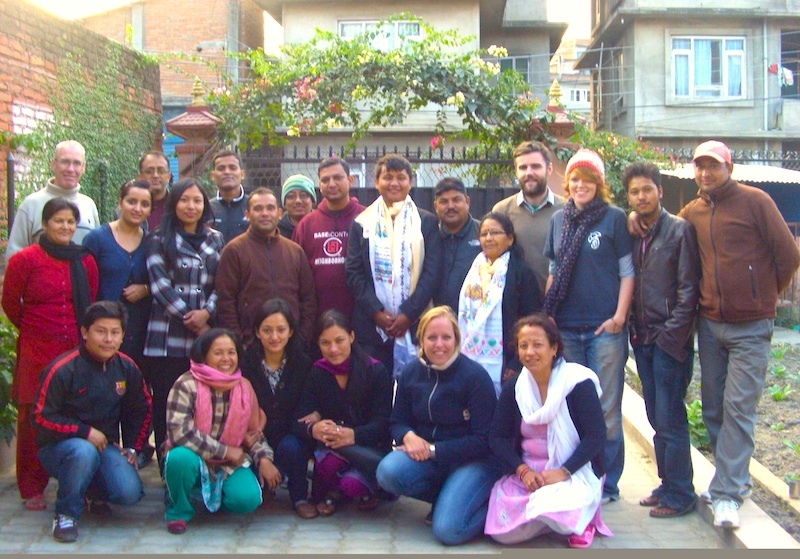 Big thanks also go to Raj Kumar Magar (Child Protection and Development Asst.) and Srijana Bajracharya (Admin and Finance Asst.) for their hard work and commitment over the years. 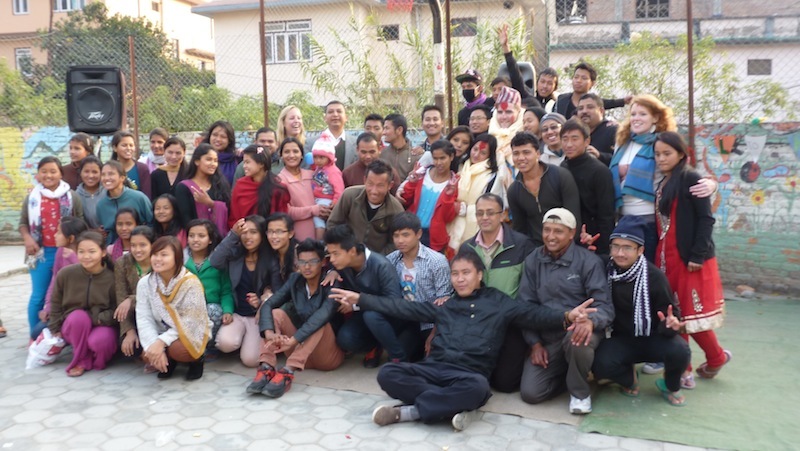 And our thanks also to Indu ‘Didi’ Shrestha, our beloved Volunteer House Didi for her kindness and support – the house just won’t be the same without her! It’s been an emotional month but with programmes to celebrate their incredible contributions – it was an occasion of happiness too! 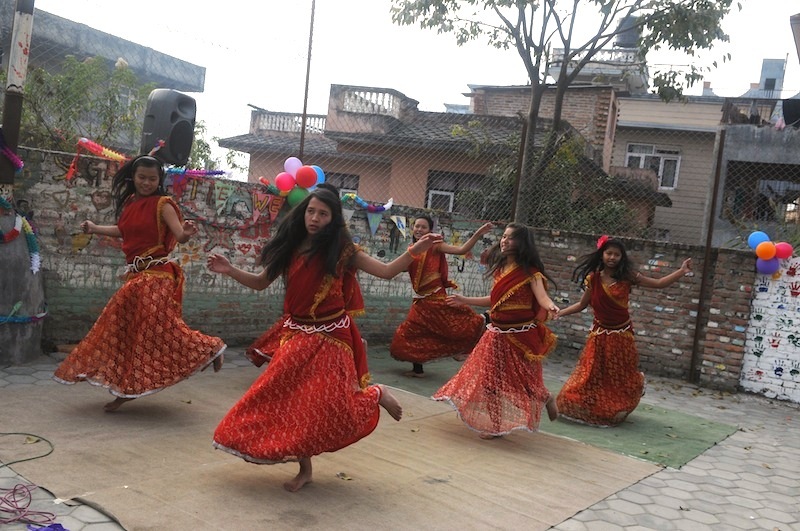 A rapturous performance by the Sagarmatha ladies. 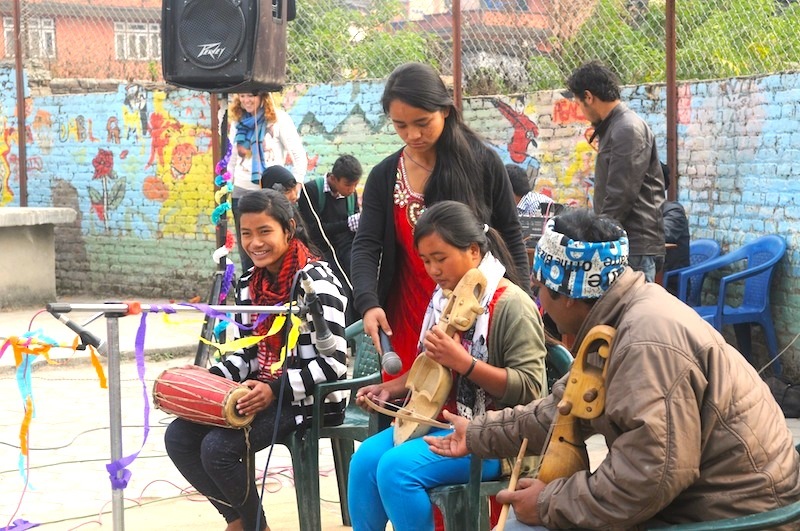 The Gauri Shankar girls performed some traditional Nepali music, having been practicing their instruments over the past number of months. A bit of a mosh pit formed around Srijana and Mac brother! We welcome Caroline Scheffer on board as the new Country Director at the helm into 2014 and Ciara Close to the team in Ireland who is taking on the position of Fundraising and Events Coordinator. 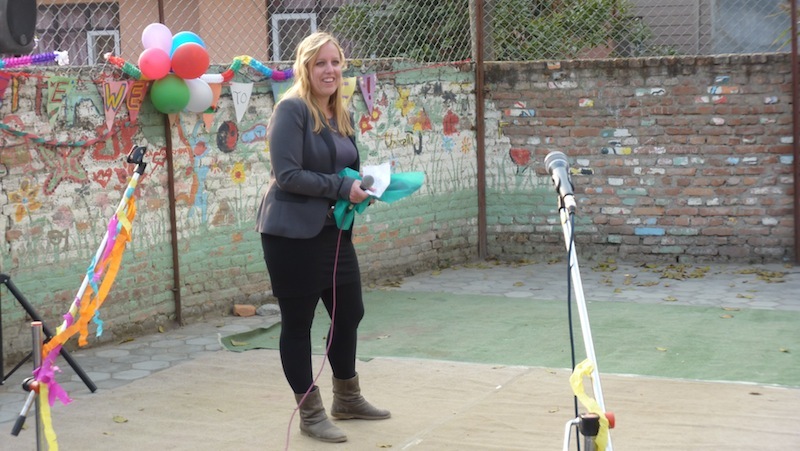 New Country Director, Caroline Scheffer, took to the stage with a few farewell words.